Fast acting, all natural tension relieving ingredients to manage the emotional and physical symptoms of PMS. 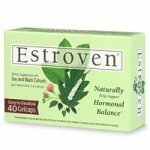 Control the Emotional Symptoms & Physical Symptoms of PMS Naturally! 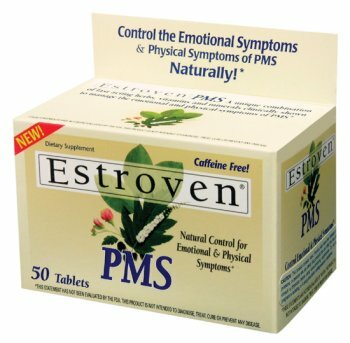 Estroven PMS contains all natural vitamins, minerals and herbs clinically shown to manage the symptoms of PMS. Kava Kava and B-Vitamins to reduce irritability and moodiness. Proprietary herbal diuretic to reduce bloating and cramping. Feverfew to help reduce discomfort. Soy and other plants to help support hormonal balance. Take two (2) tablets every four to six hours as needed, up to a maximum of six (6) tablets per day. Do not take for more than 10 consecutive days.